Protection and control across all your endpoints against security breaches, with one seamless solution centrally controlled from one single console. 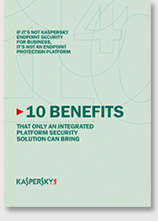 Kaspersky Endpoint Security for Business delivers superior security that’s easy to install, straightforward to administer and highly scalable as your business grows. Cyber attacks are becoming more sophisticated and complex. It’s never been so important to have the right IT security in place for your business – technology that not only protects you from the threats you can see, but guards against the risks you can’t. 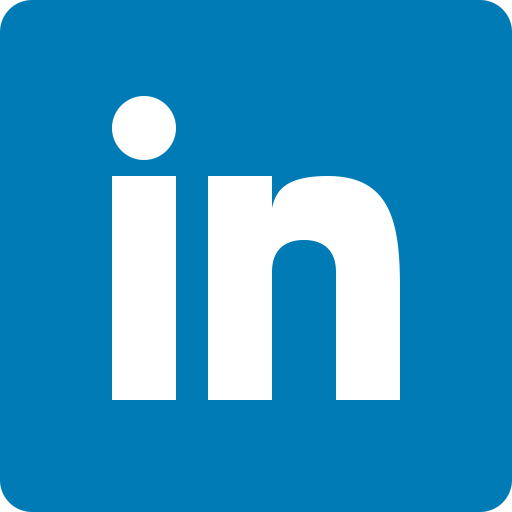 You may think that all IT security technologies are the same...think again. 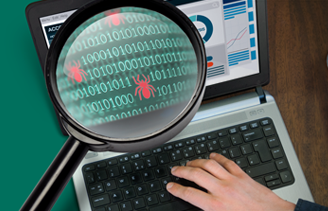 Even a 1% improvement in detection rates can translate into tens of thousands of threats being detected over the course of a year. 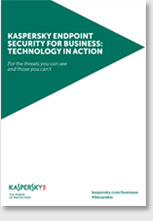 Read the 'Kaspersky Endpoint Security for Business: technology in action' paper and discover how Kaspersky Lab’s expertise and technology can protect your business against known, unknown and advanced threats. Sometimes managing IT security can seem complex, but it doesn’t have to be. Only Kaspersky Lab offers a truly integrated security platform, which delivers seamless protection, as well as making the management of IT security easier. When it comes to protecting your business and your customers, can you afford to accept second best? Copyright © 1997 - 2015 Kaspersky Lab ZAO.